ask grandma j: BILLY MAY I? 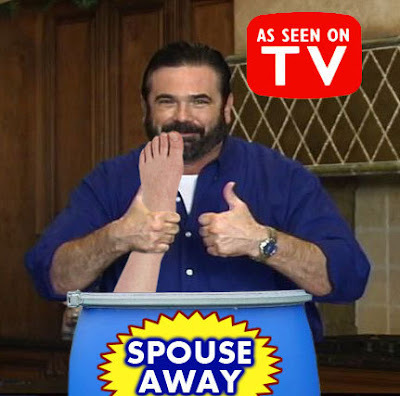 Billy Mays is a TV infomercial icon. The first time I saw him was on the Home Shopping Network or QVC, I really can't remember which show it was. He was probably hawking the Ginsu knife or the vegamatic thing...it doesn't matter. Over the years Billy has endorsed and demonstrated everything from Oxy stuff, to Orange stuff, to Hercules Hooks, Silly Putty stuff, kaboom stuff, weed whackers, clothes steamers, windshield repair goop, snake oil, and who knows, zillions of other things. Not only does he demonstrate this stuff, but it all seems to work great when he does it. His commercials are aired at a high decibel with his booming voice jolting me out of a sound sleep a dozen times a night. Somewhere along the road to success, and in the middle of eating a blooming onion, Billy became the CEO of his own company. He recently ventured out and became the pitchman for Health Insurance! For cripes sakes, his plan beats the socks of of Hillary-care or Obama-care. Billy makes more money than the e-trade baby and he has more clout. I'm thinking of trying this handy dandy product that Billy is hawking. It's the Big City Slider. Who has this? Anyone? My only hesitation is finding itty bitty hamburger buns. On the other hand, I wonder if I can use my cupcake pan to make these cute buggers. What do you think? 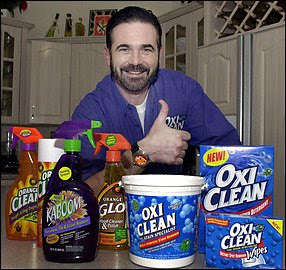 I worry about Billy Mays, because he's getting older, and lately he can't do the things a younger Billy used to do. Just the other night I was watching him demonstrate how to clean a tub with Oxy Stuff....and he nearly killed himself. His new products were going a bit over the top. And they weren't playing well despite Billy's charming ways. I heard a rumor that Billy wants to change directions in his career. He's been picked to star in a reality show. 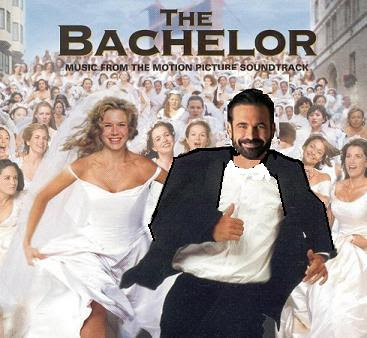 Billy Mays is the new Bachelor! BB10 news......did everyone see Jerry fall in the pool? I want them to show him putting his boogers under the cushions in the patio furniture, but they won't...darn it. That is too funny! By the way, I make mini burgers all the time...you don't need that contraption (just make them smaller!!!). Also, instead of buns, I use the King's Hawaiian Rolls. So good! I almost peed my pants! This was very funny! Good stuff. I especially love the Boxy, I think I need to order some of that. Now on to this slider thing. My only question is this: Why couldn't you just make hamburgers the regular way but just simply make smaller patties? Why do you need something special to cook a smaller hamburger? (I have done this, by the way, and they came out just fine.) Martin's (the potato bread people) makes a smaller roll, but they don't call it a slider/smaller hamburger roll. As a last resort, I'm sure Billy could find you some of those smaller hamburger buns, and blow out your ear drum then pluck your last good nerve in the process of selling it to you. I am surprised he doesn't have a bun company endorsing the slider thing : ). 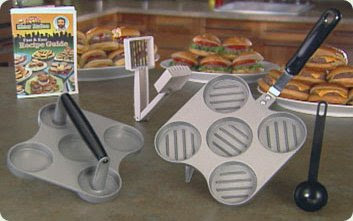 Then they could say, if you buy this slider maker, you will get coupons for 6 packages of Blah Blah Blah slider rolls. Hmmmm. Very funny stuff. I felt bad when he fell into the bathtub. If he was the Bachelor, I would watch it. I find him to be so annoying. I imagine when he is having a normal conversation that he is yelling by habit. I love seeing him fall in the tub....is that bad of me? I don't know about the slider thing....really I am not into gadgets like that. But you could just use the little hawaiian rolls as your buns. Those are YUMMY? I am so out of the loop on all that Billy is selling these days. Funny thing, at least you keep us educated on Billy because when my instructor asked a question about an infomercial and couldn't remember his name, I was able to come up with it thanks to Gramma J. First, if you would turn your tv off in the middle of the night, he wouldnt wake you up. Second, as everyone else has mentioned, you can just make smaller burgers by yourself, you dont need that thing. Finally.....that first picture...did you "paint" that? Have you been taking classes at the Bossy School of Internet Graphics? Waaaaaaaaaaaaaaaaaaaaaaaaaaaaaay too much time on your hands! Thank you everyone who suggested I just make smaller burgers, and use Hawaiian rolls..
HSH, Turn my TV off at night? So I can miss the tornado sirens? I didn't paint the Billy, and I think Bossy has that special software that turns a regular picture into a painted cartoonish thing, but then again, there is no underestimating Bossy's talent..no way will I ever go there! Grandma J...BB10 went exactly according to my plan last night. I like Renny, but I want to see Keesha and Dan in the end and I want Dan to win. How about you? Yes, I did see Jerry fall in the pool. I didn't know whether to laugh or cry for the old guy. Smart people would vote Renny out, cuz she could win this puppy..
Billy sold me Oxy Clean years ago. I still love it! Wouldn't that be a great job? Just say things really loudly and demonstrate anything. Cool! This is funny, I have never bought anything he advertised. He makes me crazy speed talking like an auctioneer. His voice makes me want to kill myself. This post was great. And, I think you should make smaller burgers too. I've seen people on the Food Network with mini hamburger buns but I have no idea where to get them. As usual, a very good blog. 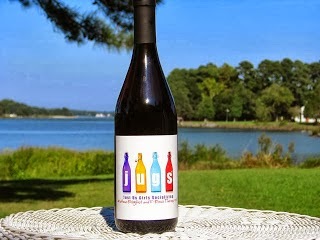 I too just LUV the loud lug! Thank you-that was the best laugh and boy did I need it.